Dental health is an important part of a family's well being. Our root Canal treatment can cure your toothache and protect your teeth. Dental emergency can be categerorized with pain or bleeding or swelling of your tooth. I have been interested in getting braces, and my experience at this dentist place has been phenomenal. There was an instance where I wanted teeth to be removed, and the whole process went smoothly with no pain. The people are kind, and the overall visits go well for me. I highly recommend coming here. Very experienced Doctor. Very friendly as well. Highly recommended! This is the best dental clinic I and my family have ever had the staff are amaizing doc.Buttar is a great doc. I really recommend this place so professional and patient with us thanks to advanced care dental :) ?? Very professional staff, yet a neighborly atmosphere. Top of the line equipment and expertise in all facets of dentistry. Our Vision is to be leader in dentistry through clinical excellence and patient satisfaction. Our mission is to provide highest quality dental care in a comfortable, relaxing and painless environment in today’s modern and cutting edge dental technology. Dr. Buttar is highly regarded and finest dentist in Seattle area. He is extremely skillful, knowledgeable, competent, dedicated and committed to deliver world class service. He continuously takes latest technology and clinically advanced training every year to provide the best care for his patients. 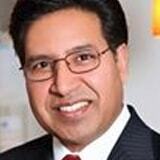 Dr. Buttar is graduate of New York University College of Dentistry. He has been long term member of American Academy of Implant Dentistry, American Dental Association, Washington State Dental Association, King County Dental Association and Academy of General Dentistry.